Tax records suggest access by a giant trash-hauler to landlocked property inside an EPA Superfund site in Bridgeton may be due to special dispensation granted by the Catholic Church. But nobody is confessing to such a Faustian pact. 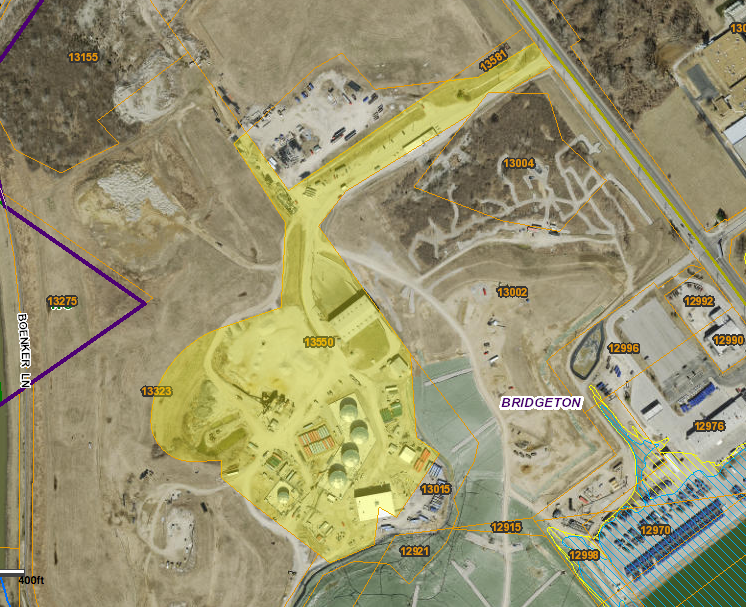 St. Louis County property tax records indicate that the more than 20 acres shaded in yellow inside the West Lake EPA Superfund site are owned by West Lake Quarry & Material Co., which is owned by the Catholic Church. In that sense, the boundaries of the site are as uncertain as the exact location of the nuclear waste itself. On one hand, the uncertainty is due to the failure of the federal regulatory agency to pinpoint the hot spots. That failure comes despite 40 years of oversight. But there is equal ambiguity related to the history of the impacted properties themselves and their current ownership status. It’s a mystery that the EPA and others, including the St. Louis Archdiocese, don’t seem to want to talk about. As usual, the devil is in the details, and in this case the details involve the Catholic Church. 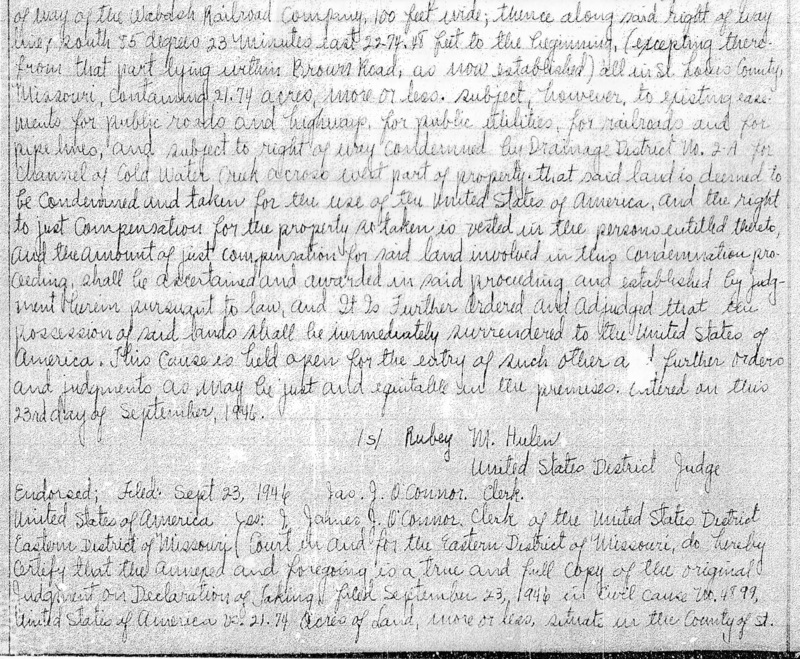 St. Louis County land records indicate that the main road leading into the site, as well as more than 20 acres in its interior are still owned by the West Lake Quarry & Material Co. The church took over the quarry operations after the business was bequeathed to it decades ago. Quarry operations ceased years ago, but the corporation itself remains active and charities tied to the church own the company. St. Louis County real estate records indicate that the West Lake Quarry & Material Co. is the owner of land inside the EPA West Lake Superfund site in Bridgeton. The quarry company is owned by the St. Louis Archdiocese, but the tax bill is sent to a post office box in Phoenix. In short, the church in this case holds the keys not to heaven but a radioactive waste dump, according to the county records. But this is where it gets murkier. Tax records reveal that the tax bill is not sent to the archdiocese or any other identifiable church entity. Instead, the tax bill is sent to an anonymous post office box in Phoenix, Ariz., the headquarters city of site owner Republic Services, a responsible party for the EPA cleanup. Since acquiring the property more than a decade ago, Republic has closed other operations, but continues to use the site as a transfer station. 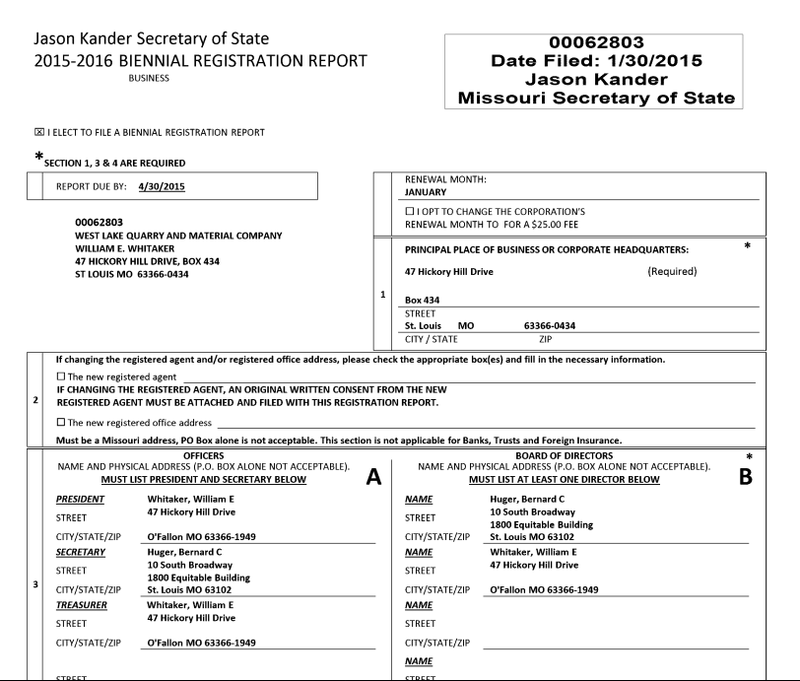 A corporate registration report filed earlier this year with the Missouri Secretary of State’s office shows the president of West Lake Quarry as William Whitaker, a retired mining engineer who lives in O’Fallon, Mo. St. Louis attorney Bernard C. Huger is listed as the secretary of the corporation. The same two individuals are now the sole members of the board of directors. Both men say they represent the church’s interests in the company. Missouri Secretary of State records from this year show the officers and board members of the West Lake Quarry & Material Co. are longtime representatives of the Catholic Church. After the church was bequeathed the company, it needed a qualified person to run the business. “They found me 1,200 feet underground,” says Whitaker, who previously supervised a lead mine near Viburnum, Mo. When he took over, the West Lake Quarry was one of a number of holdings owned by the company. But a clerk for the St. Louis County Recorder of Deeds office told StlReporter that property tax recipients were based on information contained in the property deed, and the quarry company’s name appears on the tax bill. The current shareholders “are several Catholic institutions,” says Huger. He estimates that the business has been dormant 20 years. “I don’t know the exact date. But it’s been a very long time,” he says. At the time the previous owners willed the business to the church, it was a thriving concern. “West Lake Quarry and Material Co. was a big quarry operator with quarries up and down the Missouri and Mississippi Rivers,” says Huger. “The company had towboats and barges.” Incorporation records show that the company’s barge fleeting operations extended southward to states bordering the Mississippi from St. Louis to New Orleans. Spokespersons for the St. Louis Archdiocese, the EPA and Republic Services refused to comment. Why Republic Services, a responsible party for the cleanup, is allowed to conduct a profit-making business inside the site remains a matter of debate. While church and state remain mum on the issue, the question elicited a series of responses at a recent monthly meeting of the West Lake Community Advisory Group (CAG), which acts as a liaison with the EPA. Matt LaVanchy, an assistant chief of the Pattonville Fire Protection District, expressed little doubt where the lines are drawn. “It’s my understanding that the areas that are impacted by the radiological material are under the oversight of the EPA,” says LaVanchy. One thing is for sure: While the public remains confused over the issue, Republic trash trucks continue to roll in and out of the site as if they have God on their side. 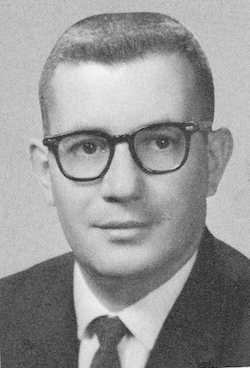 St. Louis Post-Dispatch reporter Lou Rose, circa 1969. It started with a veteran reporter’s morbid curiosity, not an altogether novel point of origin. Reporters by nature often find themselves peering into the darker sides of life — and death. Good reporters also possess an instinct for detecting stories others overlook. It’s called a “nose for news.” The late Lou Rose, a St. Louis Post-Dispatch reporter, was a bloodhound when it came to following the faintest of trails. In the late 1980s, Post reporter Carolyn Bower remembers Rose sitting at his newsroom desk clipping obituaries of children who had died in St. Charles County, Mo., where the Mallinckrodt Chemical Works once operated a uranium processing plant. 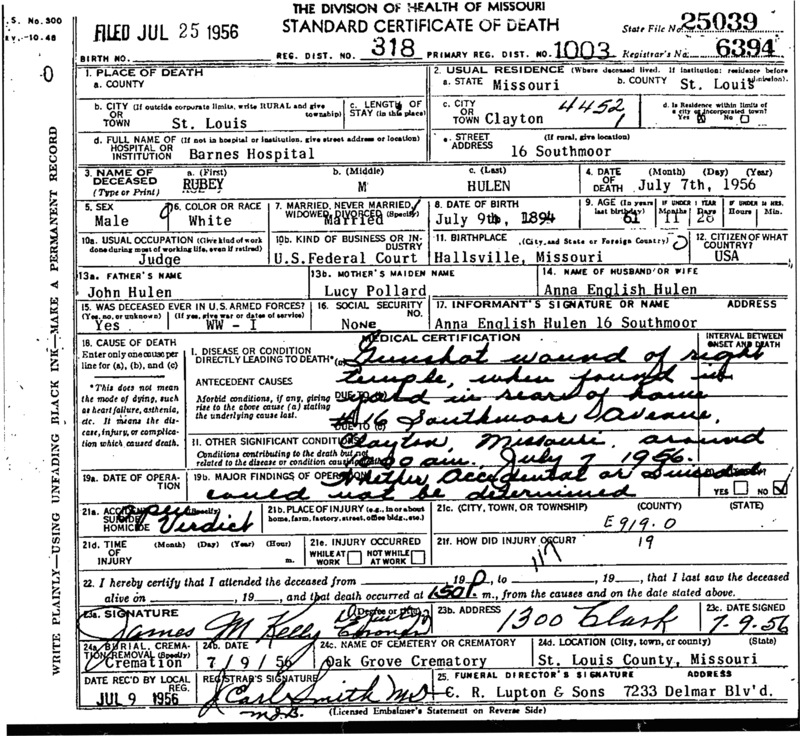 Rose had a hunch there might be a correlation between the infant deaths and radioactive waste deposited at the shuttered plant and a nearby quarry. Ultimately, Rose, Bower, and fellow Post reporter Theresa Tighe teamed up to do an eight-part series on the St. Louis area’s forgotten radioactive waste sites. Gerry Everding, a free-lance reporter, also contributed to the effort. The investigative team ended up digging through thousands of documents, interviewing hundreds of people and visiting dozens of sites. The investigation continued for more than two years. Their work resulted in an eight-part series that ran in the Post-Dispatch in February 1989. 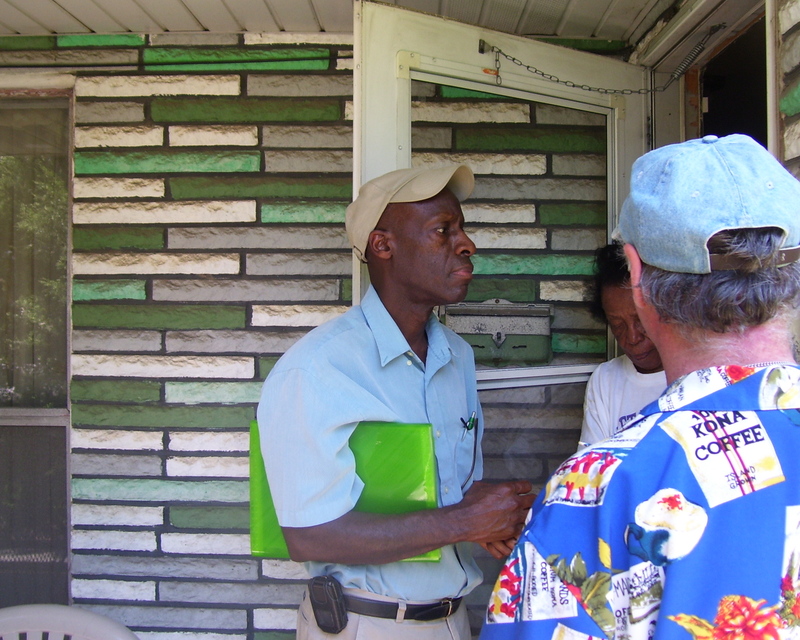 Former Spectrulite workers Calvin Ratliff and Larry Burgan canvassing the neighborhood in Venice, Illinois in the summer of 2009. Diane Ratliff, a native of Venice, Ill., remembers when the dump trucks first started lumbering up and down Meredosia Avenue in the early 1990s. She then surmised the drivers must have made a wrong turn. “Where the hell were they going?” she asked herself. Nobody informed her or any of the residents of the neighborhood that a radioactive clean-up was taking place down the block. That was 20 years ago, and Ratliff, a special education teacher for the East St. Louis School District, is still searching for answers as to whether exposure to radioactive waste may have affected the health of her family and neighbors. She is among a group of citizens who are now pressing the federal government for an epidemiological study of the area to determine the impact that the radioactive site may have had on public health. Earlier this summer, Burgan and Ratliff’s brother, Calvin Ratliff, canvassed the neighborhood, asking among other things whether residents had ever been informed of the safety risks posed by the radioactive waste or its removal. None of the residents with whom they spoke indicated that they had ever been contacted. Instead, contractors appeared to have launched the first phase of the clean-up without warning. At 8 a.m., March 5, 1990, heavy equipment operators began excavating more than 15,000 cubic feet of radioactively contaminated soil along Rogan Avenue, a neighborhood street that borders the 40-acre site. The work continued for the next two days. Contamination in this area was found from six inches to five feet below the surface, according to the final report. To ensure compliance with state safety regulations, Conalco and Dow installed eight air-monitoring stations to measure airborne concentrations of contaminants during the clean-up, but a portable generator that powered one monitor was stolen early in the clean-up and never replaced. Despite the loss, the work continued and the final report dismissed the significance of the incomplete data. The assessment, prepared by Roy F. Weston Inc. of Albuquerque, N.M., does stipulate, however, that one of remaining air monitors registered high concentrations of radioactivity on numerous occasions and exceeded permissible levels at least three times. But the risk to residents was deemed safe because all the radioactive contaminants were “assumed” to be Thorium 228 and not its more potent sister, Thorium 232. Moreover, concentrations of radioactive airborne contaminants were averaged out over several months to lower the estimated dosage to within established limits set by IDNS. Company guidelines also permitted up to 50 pounds of thorium sludge per month to be poured directly down the sewer. The radioactive contamination could also have been released into the environment by the plant’s several 20-foot diameter exhaust fans. The Ratliff family has lived in the brick bungalow at Meredosia Avenue and College Street next to the foundry since 1950. Louis D. Ratliff, Diane Ratliff’s late father, built the house. He died in 1974 from brain cancer. An informal survey of a two-block stretch of Meredosia Avenue conducted earlier this year yielded anecdotal evidence of 44 cases of cancer or lung disease among longtime residents, many of whom are also now deceased. “Before sunset there was always a cloud emanating from the plant,” says Ratliff, who attended elementary school across the street from her family home. The special education teacher now worries about spots that she says have developed on her lungs. Ratliff also worries about her siblings, whom she says have been diagnosed with sarcoidosis; a debilitating, chronic disease that commonly causes inflammation of the lungs and other organs, and in some cases can be deadly. The clean-up of the site that was initiated 20 years ago did nothing to allay her fears. It only left unanswered questions. The Department of Energy conducted the first radiological testing at the facility in March 1989, which showed elevated levels of Uranium-238 and Thorium-232. A series of stories published in the St. Louis Post-Dispatch the previous month had spurred the government to do the testing. A team of Post-Dispatch reporters worked for more than two years on the project, scouring thousands of documents, interviewing hundreds of people and visiting dozens of sites. Some of the information in the series was based on the earlier research of Kay Drey. 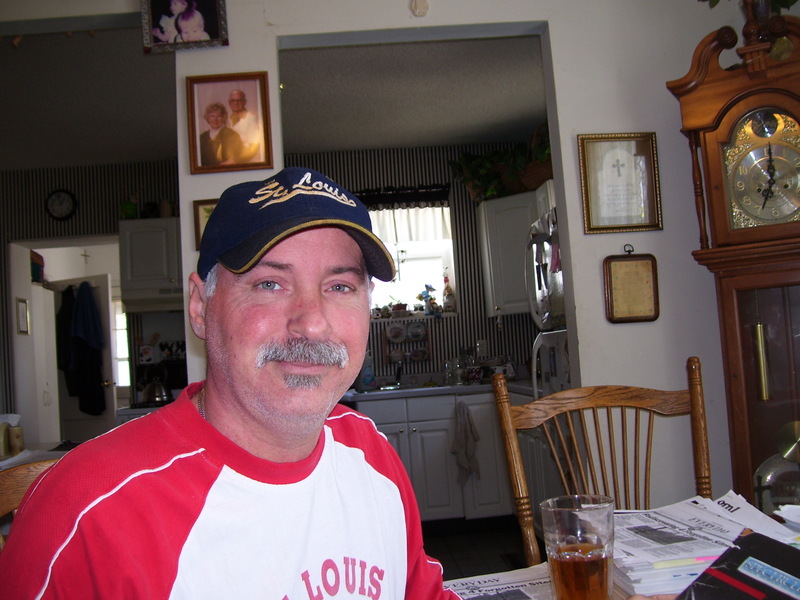 In 1979, the St. Louis environmental activist had interviewed a terminally-ill truck driver who had delivered uranium ingots from Mallinckrodt Chemical in North St. Louis to the Dow plant in Madison. The truck driver attributed his lung cancer to his occupational exposure to radiation in the late 1950s and early 1960s.